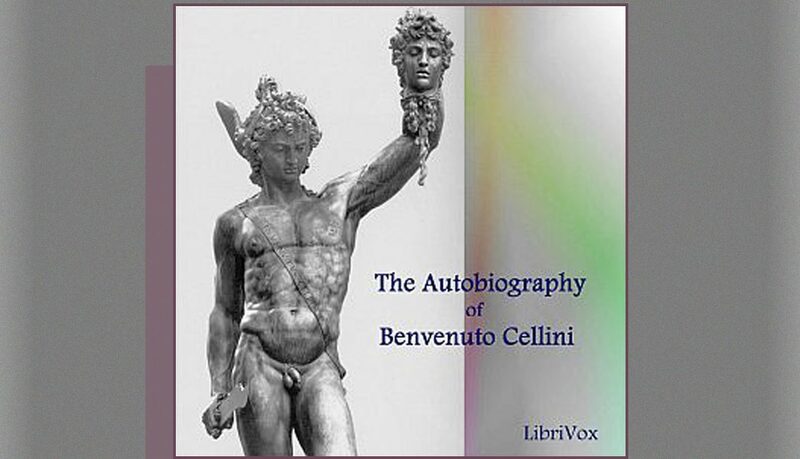 The autobiography of the great artist Benvenuto Cellini was a collaborative LibriVox reading to which I contributed. Begun in 1558, Cellini’s account of his art, as well as his loves, hatreds, passions, and delights, is written in a full-out extravagant style, which would delight a tabloid journalist of today. In the section I read, Cellini recounts how he cast his bronze Perseus, who holds up the severed head of Medusa. Cellini is a master of suspenseful storytelling. Doubters tell him there is no way he can force the bronze to fill the uplifted Medusa head. He sets out to prove them wrong. He is meticulous in preparing the clay mold from the wax original. He orders loads of pinewood from the forests of Serristori to stoke the furnace to melt the bronze. All goes well until “the” day, when Cellini calls out “heartily to set the furnace going.” Then things fall apart. The workshop roof catches fire; a storm of wind and rain blows into the workshop, cooling the furnace.